These motion graphics for Instagram are the result of searching for an unusual format for a brand relaunch. 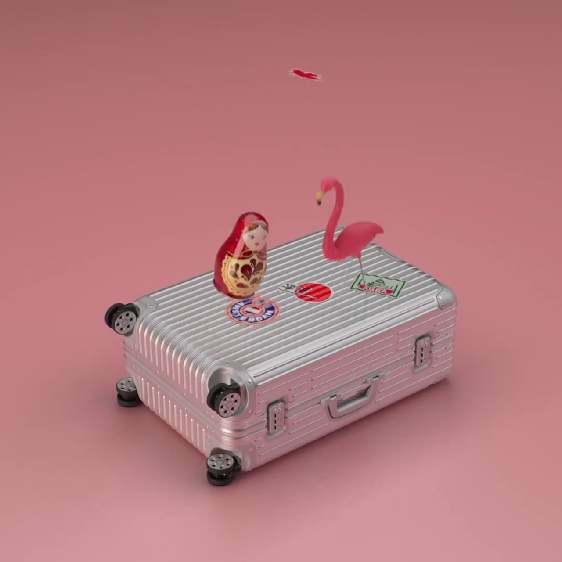 Creative people on Instagram were approached to commission 3D animations that reinterpret the iconic notion of the brand’s luggage for the social platform. As part of a lively community response, motion graphic studios like London-based Mainframe and Tokyo-based Onesal, as well as visual artist Ada Sokol, created rich and playful visualisations that skirt the lines between art and commercialism, reflecting the evolving role of 3D in visual culture.